Cochleae come in different shapes and sizes, so of course MED-EL electrode arrays also come in a range of shapes and sizes. But what’s the difference between the electrode arrays, and why are there so many? In a previous post, we showed you a close-up look at a MED-EL electrode. It’s this same general construction that forms the backbone for all MED-EL electrodes, but the details are where you find the differences. One of the first steps in designing a cochlear implant electrode array is to figure out how long it should be. Because the electrode array should fit within the cochlea, it makes sense to see how long the cochlea is, right? But that’s tricky: each individual cochlea is a unique shape and size. As you can see, cochleae can be as short as 25 mm, or long as 36 mm. 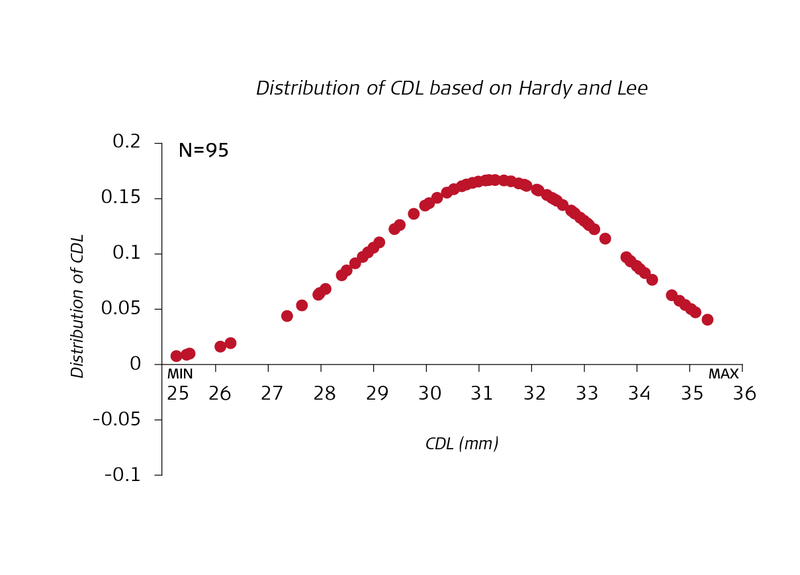 Since the greatest number of cochleae are about 31.5 mm (about 18% of all cochleae), 31.5 mm seems like it would be the best length for an electrode, right? But what about all the cochleae that are longer or shorter, or are shaped differently than an average cochlea? That single 31.5 mm electrode is starting to sound like it needs some more friends! As you can see, although they all have the same basic parts (wave-shaped wires, electrode contacts, and a long and flexible design) there are lots of differences between each electrode! Let’s get closer to some of these electrodes and explore their unique designs. 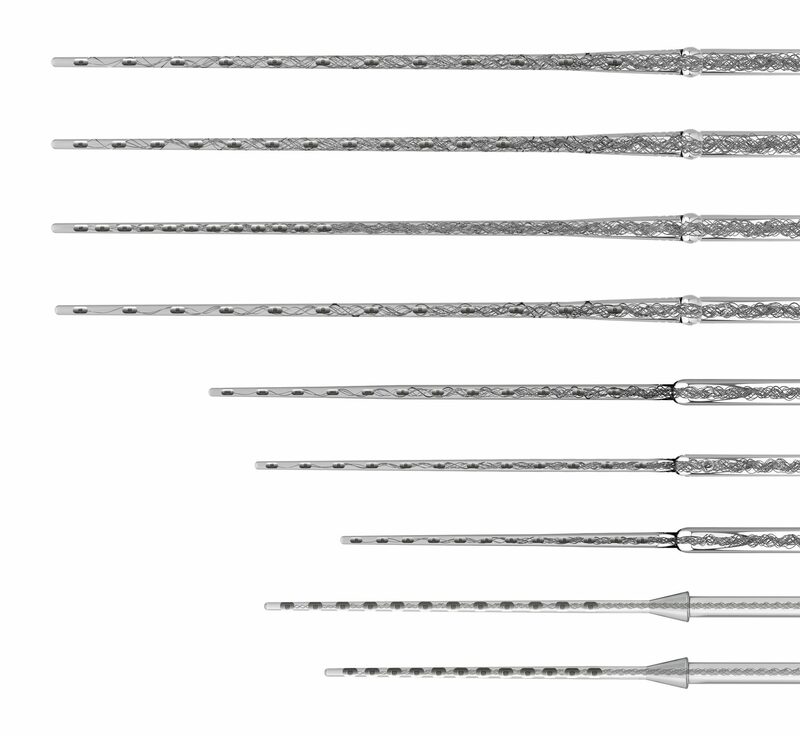 The Standard is the first 12-channel electrode array developed by MED-EL—it’s an innovative design that still remains in use today. It is 31.5 mm long, and like all MED-EL electrodes, it has wave-shaped wires and a straight design that curves naturally within the cochlea. The FLEX SOFT is the first electrode array in the FLEX Series, and in the graphic above you can see the unique FLEX-Tip, a design that uses single contacts on the first four channels to make the electrode even more flexible and therefore help protect the delicate nerve structures of the cochlea. FLEX electrodes are designed for most cochlear anatomies. The two FORM electrodes are the newest electrode designs from MED-EL. They are designed specifically for someone whose cochlea has a malformation, and you can see the special SEAL at the base of the electrode (at right) that helps to keep cerebrospinal fluid within the cochlea. These aren’t all the electrodes that MED-EL makes, but hopefully they’ve given you some insight into just how important we know it is to offer a wide range of electrodes. But which one is right for you? Of course, there are lots of factors that go into determining the best electrode for any individual’s specific situation. That’s what your surgeon is for, so if you have questions don’t hesitate to ask!